Supporters of a College of Teaching in England have published details of how such a body would work. The college, which would aim to protect standards and raise the status of teaching, has the backing of ministers and leading professionals. The paper, Claim your College, by enthusiasts from within teaching, says it could be fully open by 2018. Teacher and supporter Eugene Dapper said the college would allow teachers "to take control of their own destiny". "The absence of a professional body for teaching has resulted in teachers' professional practice being determined more by the political cycle than by research and evidence," said Mr Dapper, a head of year at a London secondary school. "We have a once-in-a-lifetime opportunity to shape the direction in which the profession is heading and to establish a clear vision that will help attract and develop top teachers." He called on other teachers to become involved with the campaign and help shape the proposed new body. The proposals already have the backing of teachers' unions, subject associations and universities as well as many individual teachers and schools, say the authors. Written in response to a consultation launched by ministers in December, the document outlines a vision, implementation plan and detailed start-up proposals for funding and founding the new college. In December Education Secretary Nicky Morgan and Schools Minister David Laws promised funding for the college, which would give teaching similar status to professions such as medicine and law. The Claim your College authors want the body to "be developed for teachers by teachers". It would be autonomous, voluntary, independent of government but "working alongside and complementing it," they say. "It will also be independent of unions and will not seek to represent teachers on matters such as pay and conditions." Ultimately the authors say the government's role in publishing teaching standards would "become redundant", having been taken on by the college. accredit members against "respected sector-led standards"
give teachers a career pathway and access to "high-quality professional development"
draw on academic research to build a "quality assured and diverse professional knowledge base"
It would not regulate, be compulsory, have a disciplinary role or be profit making - any surpluses would go towards improving in-service training for teachers. The authors suggest annual membership will cost an individual teacher £70 a year. They estimate the college will need some £12m of seed funding in the first five years before enough teachers have joined to make it self-sustaining. They are seeking a mix of donations and public funding to subsidise it until then. Claim Your College was instigated by the existing College of Teachers, the Prince's Teaching Institute, the Teacher Development Trust and the SSAT school improvement trust. 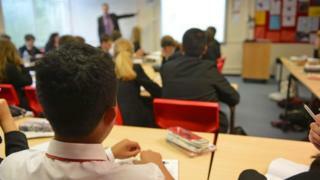 Teacher Development Trust chief executive David Weston said teachers needed to be at the heart of the new body. "It will only be effective if it is relevant, high status and provides true professional progression for teachers," he said. Angela McFarlane, chief executive of the College of Teachers, emphasised the need for independence. "Any offer of support will only be accepted on the understanding that it cannot compromise the independence of the college," she said. The General Teaching Council for England, which was a professional, regulatory body for teaching, was opened in 2000, but scrapped by the coalition government in 2010. There are also General Teaching Councils in Scotland, Wales and Northern Ireland.